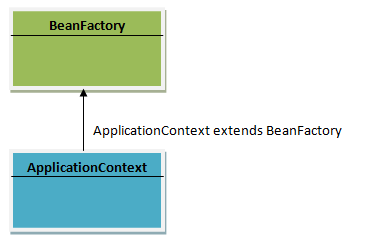 Spring – The Context: ApplicationContext vs. BeanFactory – A thought with a cup of coffee!!! This article describes the difference between ApplicationContext and BeanFactory in Spring framework. – BeanFactory is recommended for lightweight framework like — Mobile and Applet. – BeanFactory is core component of Spring IoC container. – You can configure your beans in the Spring IoC container through XML files, properties files, annotations, or even APIs. – Let’s say you define the beans in XML file, say applicationcontext.xml. 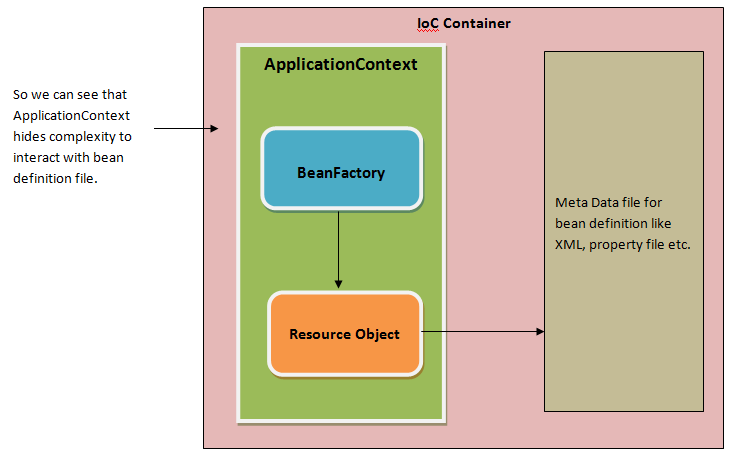 – Now BeanFactory has to read applicationcontext.xml to load the beans in container. – For this BeanFactory needs an interface that can provide the xml file o BeanFactory. – This interface called resource object. – In case of ApplicationContext, the resource object is implemented internally, so as use We don’t need of resource object. Hope this will clarify the basic difference. Next OOPS vs. OOP – What “s” stands for?